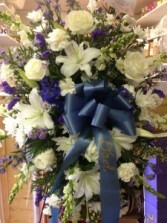 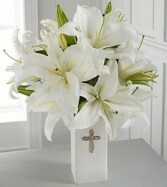 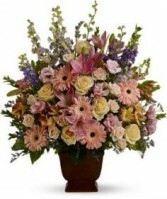 Funeral Flowers from FLOWERS BY MARIANNE - your local Hampton Falls, NH. 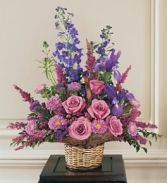 A bounty of fresh blooms in gentle hues of peach, pink, lavender and purple creates a lovely representation of your regard and devotion. 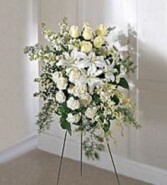 This is a fine and appropriate choice for a funeral or service. 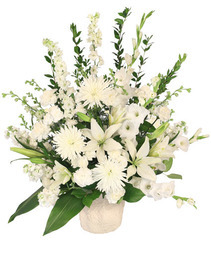 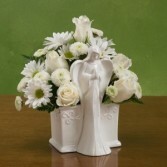 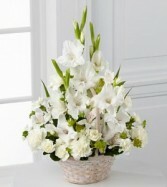 A Unique Keepsake floral arrangement with a spiritual sentiment. 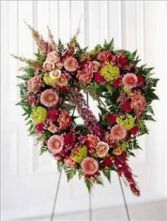 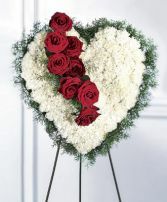 This heart shaped arrangement expresses their grief over a loss. 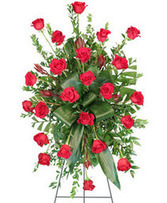 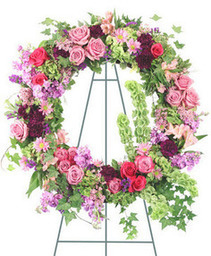 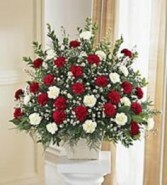 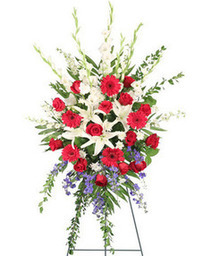 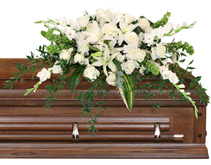 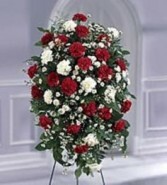 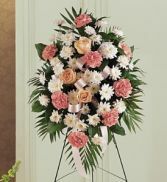 Red roses and white carnations are arranged and placed on an easel for display in a funeral home or service. 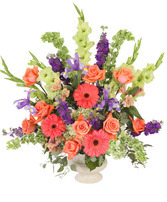 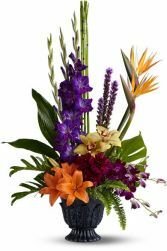 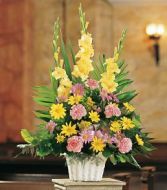 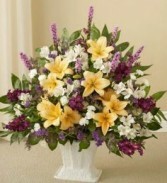 Appropriate to send to a residence as well as to a funeral home, memorial service or wake, the Basket of Memories flower arrangement features a bright purple and yellow color scheme. 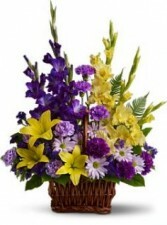 It’s a lovely basket of fresh sympathy flowers, and a uniquely thoughtful gesture. 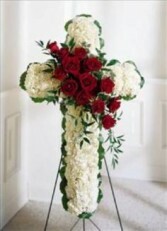 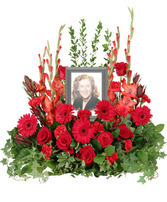 White carnations and red roses are designed into this religious floral display. Appropriate to send to the funeral home.